Some days (well most days really), I am really jealous of my kids’ wardrobes. They live in comfortable clothing that actually looks good, that honestly takes almost zero effort on my part #STYLEGOALS. 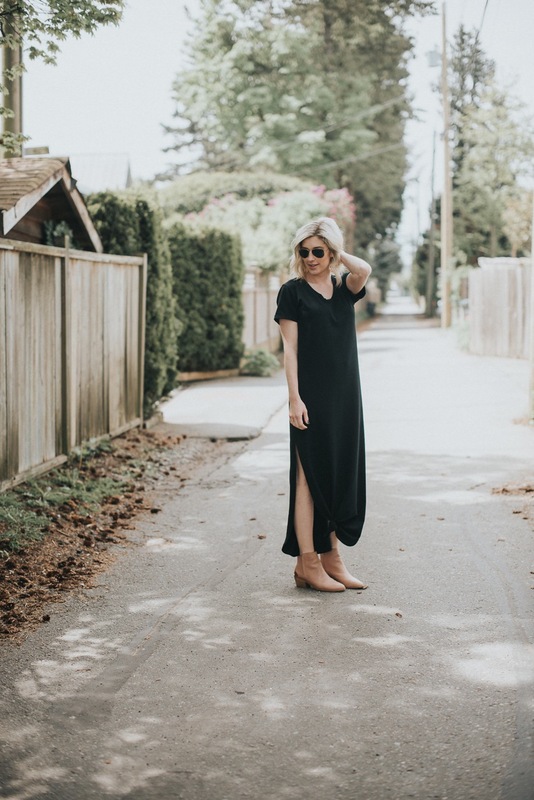 I try to choose items from either local brands or independent boutiques as I always find the quality to be greater (and the styles to be WAY more of my taste!). Where you really notice the difference is in the fabric! 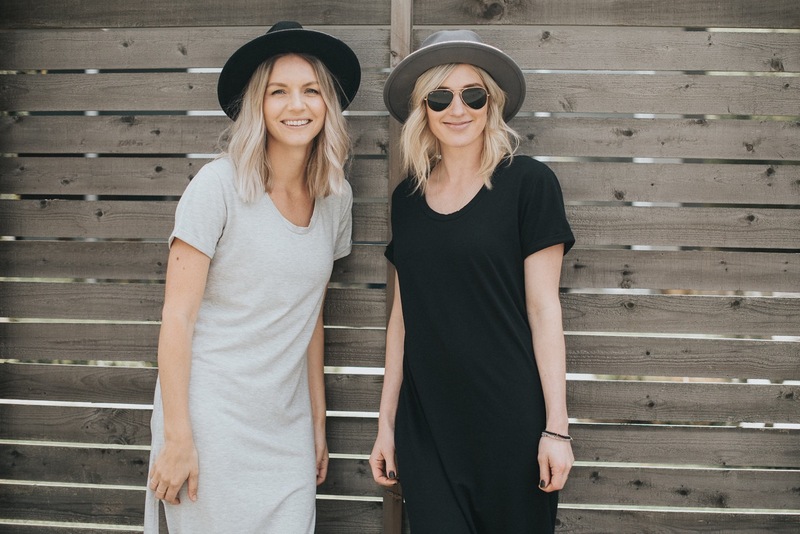 One of my favourite local brands, Jax and Lennon uses the softest cotton; it is smooth to the touch, and has ample amounts of stretch. No wonder my kids don’t fight me on wearing it! Along with their ADORABLE S/S ’17 collection for kids, Jax and Lennon have just expanded their ladies wear collection to dresses! There was such a demand from their customers (like me ;-)) to produce a women’s line made from the same soft material that they just couldn’t resist creating one. 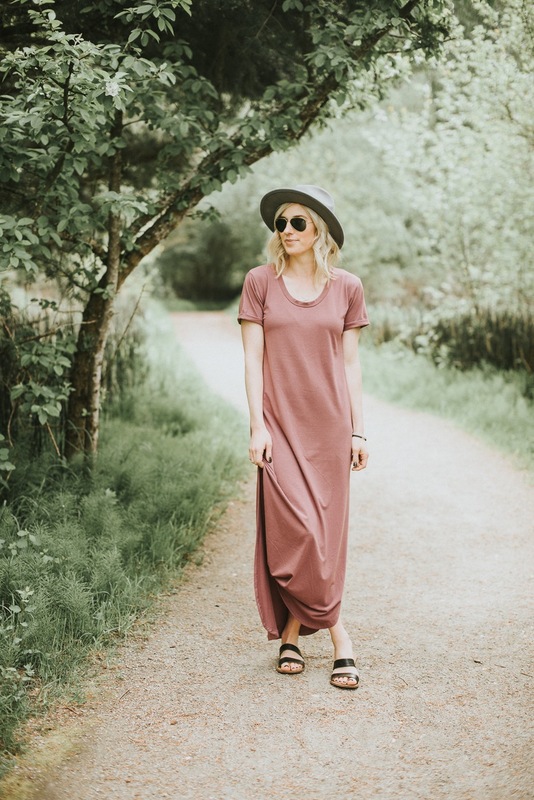 Now alongside their selection of ladies tunics, ribbed pullovers and hoodies, you can also find dresses – both a maxi style (like the one I am wearing) and a lightweight gauze dress that is perfect for warm weather. 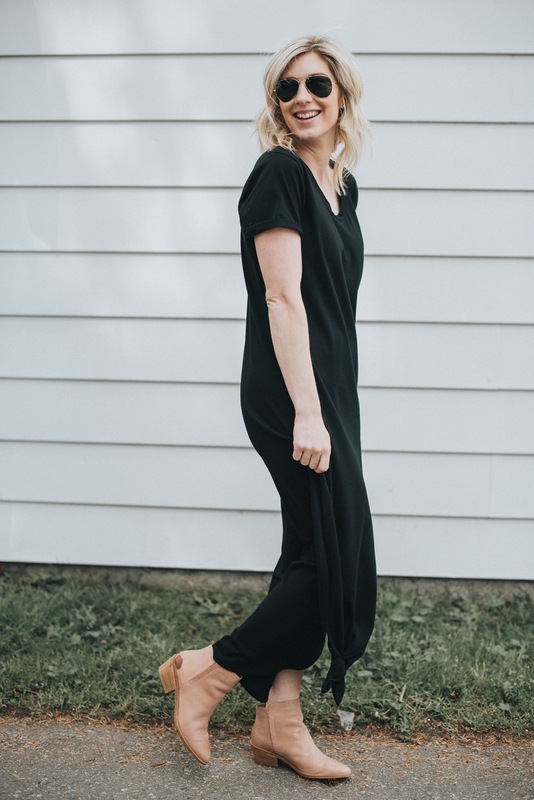 This maxi dress is sooooo incredibly comfortable to wear that I may live in it all Summer. The rolled up sleeve and option to add a knotted side on the bottom give this simple, classic style a fun twist. Paired with sandals, booties, sneakers – you can wear this dress throughout any season, and it’s perfect for travel too. This dress is available in sea salt (modelled here by Adrienne Neufeld), black, and a gorgeous rosewood colour too! Do yourself a favour and grab one of these styles before they sell out!! Shop the link below, or enter to win a maxi dress on our Instagram giveaway! I love love love these dresses! The simplicity is just my style and honestly – you can take this dress anywhere:) Love the black version the most!